Wonder Where You Can Kayak and Lilo on the Same River? Storms River Can! After swing from treetop with Tsitsikamma Canopy Tour in the morning, we left the village and drove to Tsitsikamma National Park for the most anticipated activity of the day, Kayak and Lilo adventure! To tell you the truth I have awed by the promotional video on their social media page. So without even a hesitation, this activity jump straight onto the top of the trip’s To-Do list. The kayak and Lilo is a combination tour where you first do the kayaking on the Storms River then you leave your kayaks midway and go on to the lilos. This activity is quite popular so booking is required in advance, and make sure that you book way ahead during peak holiday season. The office Untouched Adventures, located in the national park, is where we gear up and sign our death warrant etc etc. I would also recommend that you wear close shoes for the trip. As we went during early autumn time so the river water is quite warm so you don’t really need a wetsuit. The activity takes about 3.5 hours. Depend on how rough is the sea, you will either do ocean kayaking from the river mouth into the river and lilo afterwards (what I dreamt of doing), or else hike along the river from the suspension bridge up to the jetty where you then get on onto your kayaks. Unfortunately on the day the sea was quite rough so we have missed out on the sea kayaking and hiked to the jetty. During the kayak and lilo, the guides stopped for a few times for us to admire the scenery and also talk about the rich nature of the area and the indigenous surroundings. When we switched to the Lilo, the guides allow us to jump from the cliffs. As I have done a few canyoning/kloofing adventures, how could I miss the fun! Overall the views were breathtaking, and it is far different when looking from the suspension bridge. The trip is not physically demanding, but some do feel the hike to the jetty is a bit strenuous. The guides were friendly and very patient. I would recommend it to anyone as it was really safe, and unforgettable. Just teeny-tiny disappointed that we were not able to do the sea kayaking, hopefully the next time Poseidon will chill down the sea a bit. But would definitely do it again! Just a tip: The guides do not take pictures during the activity but you more than welcome to bring your GO PRO and they also provide dry bags to store valuables. It is often that most travelers will relax for a day at Port Elizabeth before their Garden Route road trip, and this is what we have done before the start of the our trip. And believe me, it is highly advisable, especially for a designated driver, driving and traveling together can became tiresome. From Port Elizabeth direction, our first stop on the Garden Route is the Storms River Village, where the infamous Tsitsikamma National Park is located. As an avid “mild” adrenaline junkie (I categorized myself as mild because there is certain adventure activities I will avoid if possible, bungee for example), Garden Route is my favourite trip when looking for fun activities to do. From as easy as hiking, cycling, super fun canyoning/kloofing, ziplining/canopy tour to as extreme as bungee jumping off the world’s highest commercial bungee bridge (which I will avoid), most of the action packed activities are found at Storms River. Up early in the morning we have arrived at the office of Tsitsikamma Canopy Tour® at the Storms River Village. What I love about this tour is that this Fair Trade company supports the local community, it only keeps 43% of the profits and the rest goes into the community projects. We were welcomed by a group of young and bubbly guides at their “briefing” office, which they explained all safety rules for the tour and dressing us up with safety gears. After briefing, we hopped onto the truck for the canopy tour, two guides and one photographer accompanied us during the tour. The first two zip lines are shorter for warm ups, afterwards all the zip lines are much faster and longer. During the tour you either scream your heart content or you pretend you are the king/queen of the jungle. The guides are helpful, informative and entertaining. As my friend Mart is a bit scared of height so they did tried to ease her nerves away (by pushing her off the platform on the count of 2 instead of 3). The tour is not only about zip lining from tree to tree but the guides also shared stories and information of the forest with us. The highlight of the tour is the spectacular view. I really cannot explain how breathtaking the indigenous forest is and how huge the yellowwood trees are. The platforms are built around these giant Outeniqua Yellowwood trees and some are as old as 700 years old! Because the tour is eco-friendly, even the platforms on the treetop does no harm as they don’t drill or nail the trees. The whole tour last for about 2.5-3 hours, with a total of 10 ziplines and a light meal after all the slidings. In general I found the tour relatively safe and fun (if you do not have a height problem). Definitely a must-do when at the Storms River Village. We finished the canopy tour at 12pm, but we later scheduled my most anticipated activity, Kayak & Lilo with Untouched Adventures at 2pm (coming up in my next blogpost), in between the 2 hours we decided to check out the other sightseeing landmark such as the big tree and Storms River Bridge. So every South African knows whereabouts Port Elizabeth is, the city that known as the Friendly City or the Windy City. Besides just hanging around the beachfront, do you know where else you can go or do under 24 hours, and spend less than R300? 07:30 Start the day with some scrumptious breakfast at Victorian veranda of Savages Fine Food. 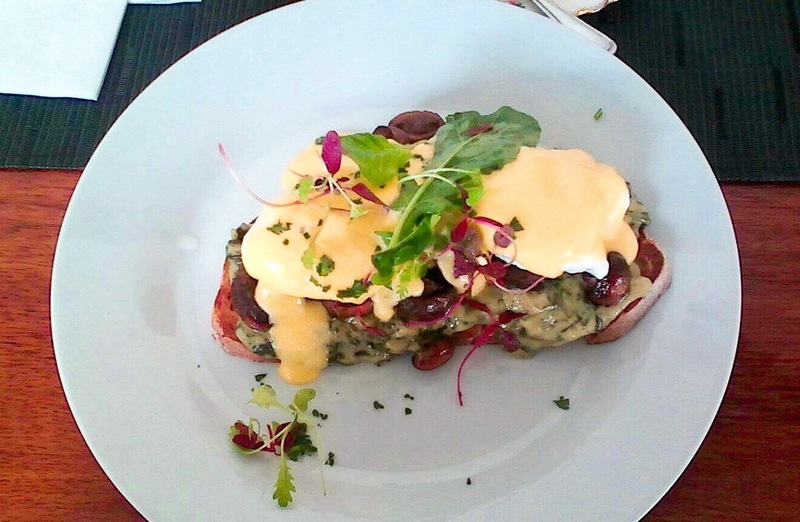 There are many great breakfast spots in Port Elizabeth, Vovo Telo, Friendly Stranger to name a few, but my favourite have to be Savages Fine Food. 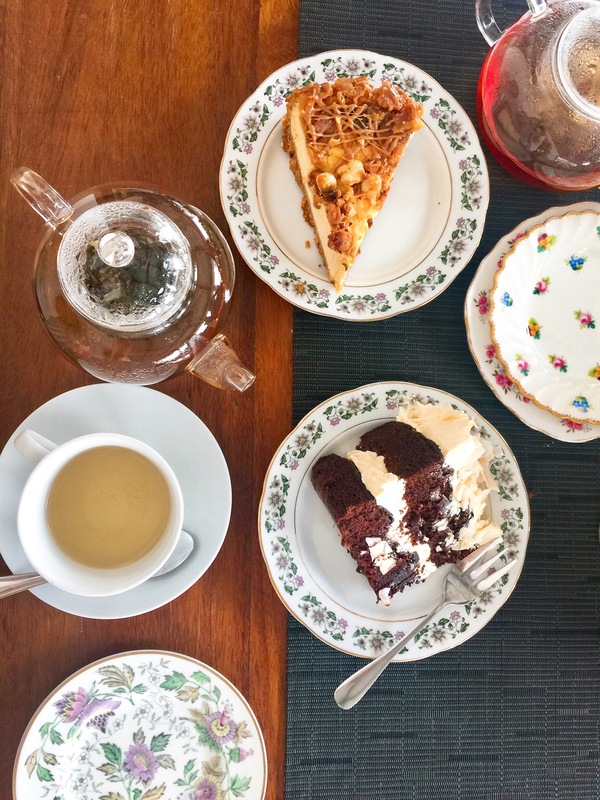 While many eateries are booming with coffee culture, it is good to find a place that caters for the tea lovers. Their tea creation are innovative, just imagine popcorn in your tea! Their pastries and breads are freshly made at the premises so you wouldn’t find any pastry alike elsewhere. 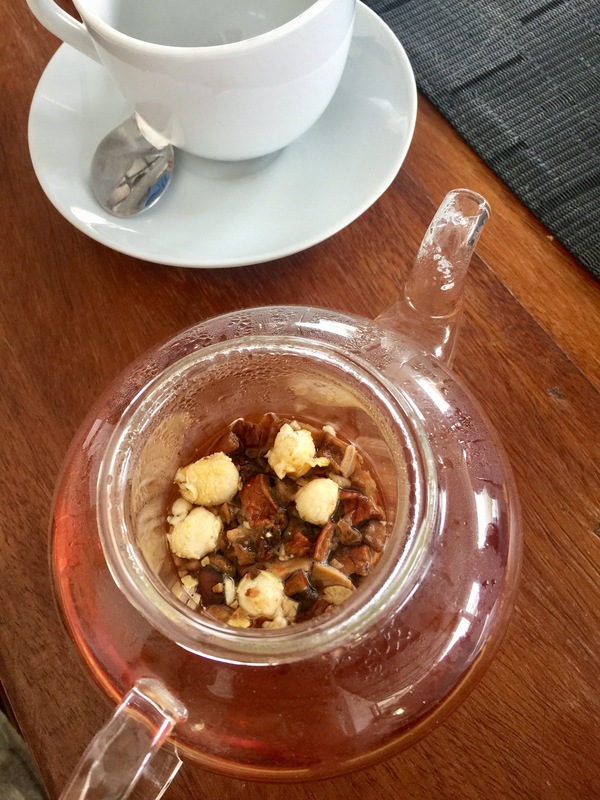 Tea with fruit, nut and popcorn! 09:00 Visit St George’s Park and Pearson Conservatory. After breakfast, take a leisure walk across the road and explore one of the historical landmarks in PE, St George’s Park. However my favourite part of the park is the quiet, 135 years old conservatory, it is quiet well-maintained and sooooo Instagram-worthy. 10:30 Overlooking the coastline of the Friendly City at Donkin Reserve and appreciating the surrounding 67 public artworks. I have visited Donkin Reserve on numerous occasions but the view never dies on me. With the installation of the art project, Route 67, Donkin Reserve are more lively and vibrant than ever. You can actually spend a good 3-4 hours here! We have tried to explore as much artworks as possible, but as the wind start picking up (like a typical windy welcome from the city), the clouds and rain just came out from nowhere and have shortened our outdoor walk. But at least we get to see some of the my favourite landmarks in PE, like the architecture of public library, the artworks Voting Line and the beautiful Piazza Mosaic. 13:00 Treat yourself to some fresh catch at This Is Eat. I could recommend many places by the buzzing Richmond Hill or the ever-popular promenade, but as a seafood lover, This Is Eat is a local’s favourite. By lunchtime, this simple and casual joint is packed with locals. With freshly prepared seafood, decent portions and very reasonable price, their fish and chips win my heart any time. 14:30 Be a beach bum at Sardinia Bay Beach. This is my favourite beach in South Africa (so far), it is less crowded and the wildlife is undisturbed. The sand dune are just pure magnificent and is so high that you can sand-board freely, and kite-surfers can be spotted occasionally. Besides chilling on the sand, you can go for a tranquil 8km walk on the wild uninterrupted stretch of pristine beach, where further down you can snorkel in the tidal pools. Just remember to bring your gear because there are no shops around the beach. 17:00 Sundowner by the Pier. If you go watch the sunset, I still think the pier have the most beautiful sunset in PE (unless there is another local can suggest a better one for me to go explore next time!). Get free parking inside the Boardwalk Casino and walk your way to the pier. The colours of the wild orange and subtle blue sky will amazes you. 20:00 Burgers and shakes at Something Good or at the legendary Stage Door of Phoenix Hotel. If you want something casual roadhouse dinner, Something Good is located in a refurbished 1950s Port Elizabeth landmark overlooking Pollock Beach, or else you can head to Stage Door that have been opening its door since 1837 for some pub food. Both restaurants are well priced and popular amongst locals and travelers. As a street art lover, I have also noticed a bit of graffiti masterpieces around the city, particularly the works of Joff. Love his work! There are lots more to do in Port Elizabeth and 24 hours are barely enough, next time I would also make time to visit the South African Marine Rehabilitation and Education Centre (SAMREC) where they occasionally release rescued penguins and organize monthly moonlight walks. But until next time the Friendly City! If you happen to be in the Great Karoo, and happen to be around a small town called Graaff-Reinet, make some time to stop here for a good break of 3 hours or more. The sleepy town, one of the oldest town in South Africa (4th to be exact), is known as the Gem of the Karoo. Before we reached Port Elizabeth, we have decided to stop for a 3 hour break here (as many have recommended us), and check out specptacular view of Valley of Desolation in Camdeboo National Park and a few architectural great such as the Groot Kerk (Dutch Reformed Church). On the way to Valley of Desolation on the right. We first make our way to Camdeboo National Park, which is a short 14km drive from town. Most of the visitors, like us, head to the world-renowned Valley of Desolation, and its panoramic viewpoint. The Valley of Desolation rock formations consist of dolerites which have formed jointed pillars over a period of 100 million years. Erosion of the softer sedimentary beds has left dolerite pillars which rise to heights of 90 to 120 metres. This national monument is breaktaking but sadly my pictures don’t do this view any justice. If time is not an issue, also try to visit Obesa Nursery, which is the biggest private cacti collection on the planet and apparently it is a sight to behold. Imagine ten spikey hectares of cacti! Rumour also heard that the oldest grapevine in the world is at Reinet House Museum, planted in 1878 and still growing. So the next time I am closeby Graaff-Reinet, I will definitely head to Valley of Desolation during sunset (yes it opens till as late at 8pm! ), visit more historical buildings, see the massive field of cacti and indulge in some Karoo lamb! If you ever driving by this area (which is just off the N1), I highly recommend everyone to stop by to this little gem. I’ve been to quite a few pick-your-own-fruit farms: strawberries by Polkadraai Farm in Stellenbosch (Western Cape), cherries by Klondyke Cherry Farm in Ceres (Western Cape) and peaches by Camdeboo Farm in Fourways (Gauteng); but this farm is probably one of my favourites. Because there are so many different types of berries on the farm! After staying in Joburg for four months, many locals that I know of doesn’t know about this farm, which only located 1 hour away from the city. Most probably they don’t advertise that much. The farm is easy to find and there are plenty of parking space. The farm is super laid back and mellow – you get the boxes inside (or bring your own), pick the berries, then weigh your haul, calculate the money owed and pay at the till. I was able to pick a full box in just two hours (plus time to pop berries into my mouth). The entrance fee to the farm is R35 and you can eat as much as you can in the farm. If you want to take some home, it is R145 per kg. It may be a little higher but farm picked is so much fresher and lacks that produce taste and smell that you get from berries that have been sitting around for a bit during delivery. The berries season is runs from end of November to end of March. I visited the farm during beginning of Feb and there were so many huge juicy berries ripe for the picking. Space wise, the farm is huge, so it didn’t feel crowded or felt like I had to compete for my berries. 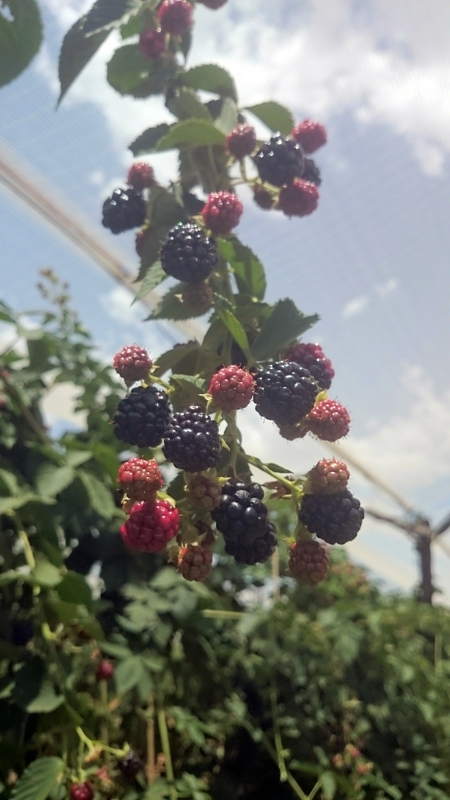 We went straight to the blackberry rows and began our quest for large juicy black beauties. Between the 3 of us, we only got to walk down like 3 or 4 rows and we had pretty much filled our boxes of blackberries. But my favourite part is wrapping up the day with their delicious homemade berry ice-cream at their tea garden. Mmm delicious! Wholesome berries and sweet creamy goodness. Aside that they also have homemade berry juice, berry muffins and cakes, roasted coffee, and jam. There are couches, outdoor picnic tables and chairs to sit on and relax or enjoying your picked goodies. It was great getting to just wander around and find berries of all sort. The staff at Bon-Af are friendly and will tell you which areas are ready for picking. They also give useful tips like pick the darker berries. And raspberries and blueberries will come off quite easily if they are ripe. 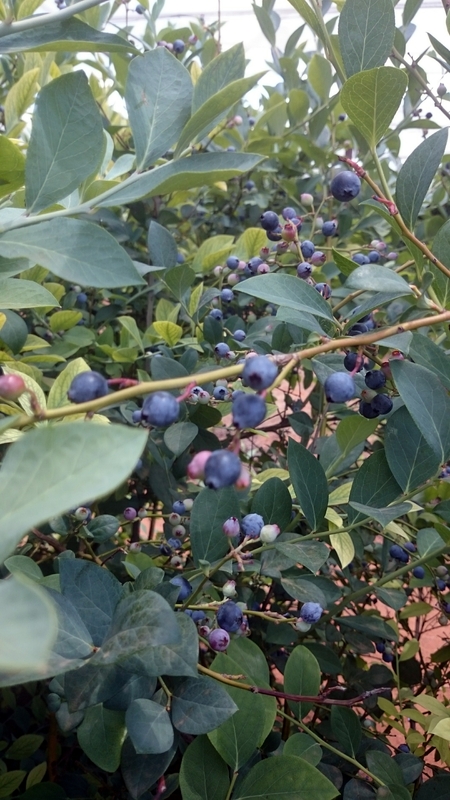 Before you go, it is better to check the website or call the farm ahead of time to see which berries are ready to pick. Just beware if you are not an insect fan, you will spot quite a few spiders hiding in the bushes and bees and wasps buzzing around. I had a great time at Bon-Af and cannot wait to try picking some other fruit next season. Unless you have incredible stamina, driving from Cape Town to Johannesburg on your own in a day is a hectic, laborious task. 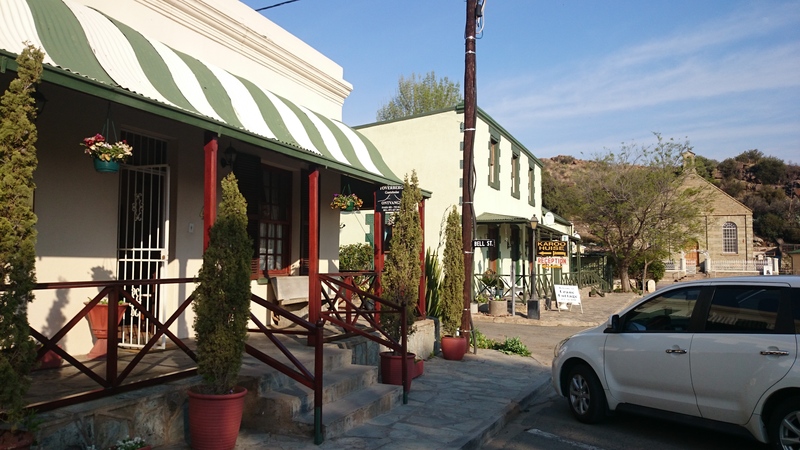 I chose to pullover at Colesberg, a small Karoo town in the Northern Cape, and stayed in a restored historical townhouse Toverberg Guest Houses. Upon reception, I’ve received warm welcome from the host and he tried to accommodate as much as possible, whether it is restaurant recommendation or the local weather. The room I stayed in is 5B Bell Street Room which is bedroom en suite (shower only) with a little lounge, TV, fridge and lockup garage. It was so convenient to have a lock up garage for the car so I did not have to unpack everything. The room is clean, spacious and really well equipped; with tea, coffee, milk, sugar, and homely divine rusks to help yourself with; as well as electric blankets, heaters for chilly weather. 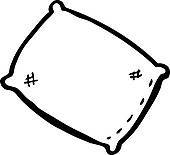 The bed is super comfy that I fell asleep right throughout the night. Only downside is that there is no hairdryer in the room. The location is great, it is within the walking distance to the well-known restaurant, Die Platterlander, museum, supermarket. And it is really safe to walk, with only a few domestic dogs around. If you want to do some sightseeing but is too tired, well Dutch Reformed Church is right next to the guesthouses. With the quality of service and the accommodation, the rate is probably the best in town, especially when traveling along (only R150 per person per night). Really enjoyed my stay, will certainly stop this establishment again in future. Growing up in a country where your skin colour is different from the majority of the people living here….you tend to stand out amongst the crowd. Well in fact (you can even tell from my last name), I am one of them. Being an Asian raised in South Africa, we are merely under 2% of the country’s population. Even though I have lived here for 20 years and speak in a perfect South African accent, there is no way to hide my beautiful yellow skin colour and appearance. But somehow you are so rare for them, you have lots of (same) questions being asked and comments that probably get your eyes rolling because it is like the nth times you’ve heard them. Ever since I have read a post on Buzzfeed (21 Questions Asian People Are Sick Of Answering), I can actually relate myself to most of the points mentioned. It is all about how we, as a certain group, are confined to certain behaviour and how others does not have access to gain such insight. We are not all like this! But what I have found the most puzzling and speechless are the things non-Asian people do at a Chinese/Japanese/Korean restaurant, particularly the Chinese restaurant where I actually had hands-on experience when I was still studying and doing part-time job. These may not entirely apply to all non-Asian customers but I have seen quite of few happening around me. Hopefully after reading this, everybody will stop drumming the chopsticks on the next visit to a Chinese restaurant. I’ve it seen all. Soy sauce being added into a bowl of steamed rice, and even soup. Now C’mon really? I only add the condiment when cooking and for dipping. I can’t imagine how chicken and sweet corn soup and soy sauce taste like. Ew! On one table, you will spot each dish sit perfectly in front of each person, and all the dishes probably look identical. Well to go the Chinese dining way, it is all about sharing. And you get to taste other dishes as well. Errr…come again? It is like we go to a Steakhouse and ask for soy sauce. And then again what are you going to use the tomato sauce for? Fried noodle? Ew! Ok I have to say this only happened to me once. I was called back 5 minutes later after I brought out the soup to the table, asking if they will have bread to dip into their soup. Bread to dip into wonton soup…wonder how would that taste like. Sometimes I wonder whether people actually close their eyes, point their fingers at an item on the menu, and order whatever their intuition tells them to. So by the time the food comes out, they have no idea what they’ve just ordered. Does prawn cracker count? It is like asking if a burger place sells fried rice. I don’t know. Maybe we all look the same. You know, dark hair and dark eyes. 10. And shove the sticks into their (generally the ladies) hair buns. 11. Drum their chopsticks or playing with it. My worst pet peeve at a restaurant is when people start to drum their chopsticks. I understand how people get excited to use chopsticks but they are like knives and forks to us. I would never play with my eating utensils at other restaurants. They are for eating not playing. So show come respect please. I am completely clueless at this one. Maybe it tastes better that way? I had coughed out a dry “haha” when I heard this the first time. There afterward I just give them the awkward silence. Yes dear in case you don’t notice it is kind of racist to us. Or “waisis”. This post may sound very bias to the other non-Asian people who never done any of these things I’ve mentioned. But believe or not, this had happened to me and I am just airing my view out. So hopefully people can learn and respect each other’s culture. In case you would like to find out more you can check out this webpage that gives you some points of Chinese table manners.